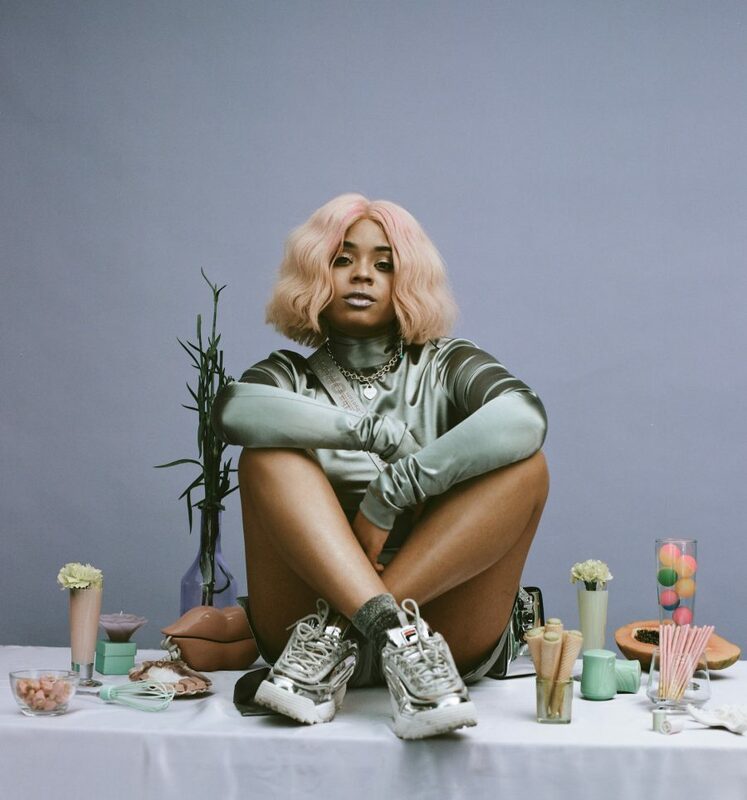 Even if you haven’t heard Tayla Parx sing, you’ve heard her music. How often do you find Ariana Grande’s positive breakup anthem, “Thank U, Next,” stuck in your head, its lyrics now a permanent part of our generation’s lexicon? What about its chart-topping followup, “7 Rings?” Those are just two of the six Thank U, Next tracks on which Parx is a credited songwriter, in addition to her work on Panic! At The Disco’s recent hit, “High Hopes,” and her Grammy-nominated contributions to Janelle Monáe’s latest album Dirty Computer (Parx worked on “Pynk,” “I Like That,” and “I Got The Juice”). 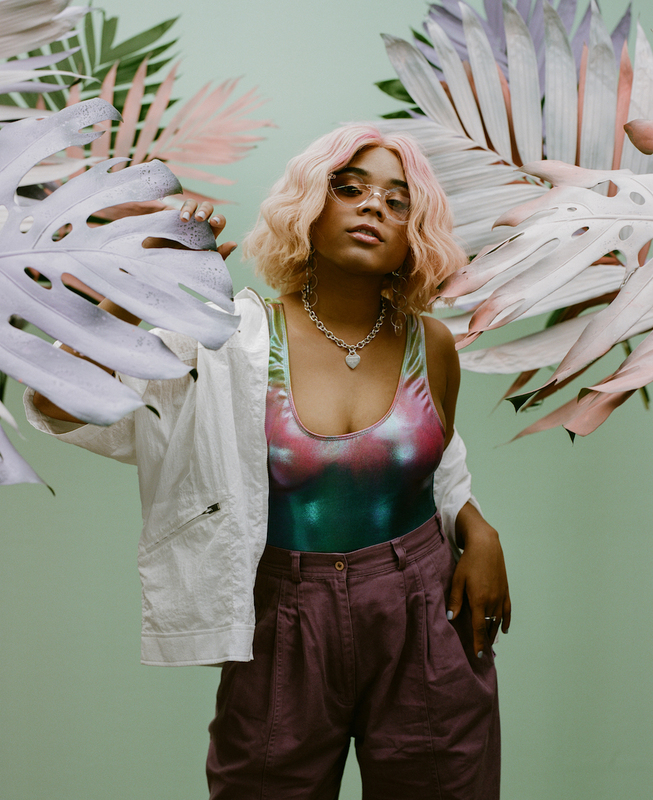 Her creations don’t end with those artists, either; at only 25 years old, Parx’s prolific songwriting resume includes Alicia Keys, Christina Aguilera, Kanye West, Jennifer Lopez, and The Internet. Those first three songs I mentioned—”Thank U, Next,” “7 Rings,” and “High Hopes?” Their success made Parx the first female songwriter since 2014 to have three songs in the Billboard Hot 100’s Top 10 at the same time. 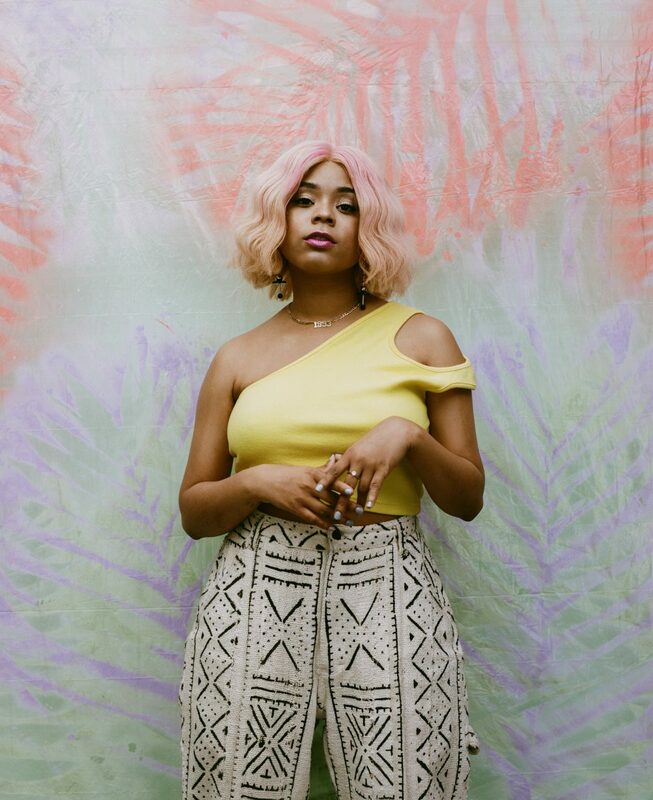 If you haven’t yet heard the Texas-born artist’s smooth, soulful vocals, then you’ve got some catching up to do. In 2017, Parx released her Atlantic Records mixtape TaylaMade, and today, April 5th, she released her highly anticipated debut album, We Need To Talk. The joyfully mellow, atmospheric melodies on the album are juxtaposed with darker subjects—each song exploring communication struggles in relationships. From the album’s title, to the incorporation of iPhone text sounds in the beat for “Afraid to Fall,” to interspersed voicemail recordings within the “Happy Birthday” interlude, Parx’s masterful ability to craft songs with a specific, cohesive point of view is evident. Listen to her single, “I Want You,” and read our conversation below. HelloGiggles (HG): Communication is a central theme in this work, from the album title, to the lyrics, to the use of sound effects and voicemails. What made you want to focus on that for this project? Tayla Parx (TP): I think the fact that I was realizing [communication] is the key to any type of relationship. You would think, as a songwriter, that I would be great at communication, but the thing was I don’t apply that same kind of mentality to love as I have with music. I found that music was my diary, but in my real life, I was not good at communicating. I realized that me and that person I was talking to—we don’t communicate well. But I think no matter what somebody’s sign is, no matter what age they are, you can always get through something with communication. And right now, in our day and age, everybody is kind of in that in between phase: their less than lovers and more than friends. So we’re in this quote unquote ‘talking phase’ that most people get stuck in. You either make it past it or not—and it all depends on communication. HG: I’m sure the entire album is your baby, but is there one song that you are particularly excited for listeners to hear? A favorite of yours? TP: I think it changes every day because most of the songs I’ve been sitting with for so long—some of the songs I did two years ago or more. I’ve really taken my time. Right now, my favorite song is “We Need To Talk,” and I think that’s also because it’s the freshest one. It’s one of the last songs to make the album—I didn’t even have a title track. I just let the album talk for itself, but this song kind of encompasses my whole point of doing the album and naming it that way. HG: When you get an idea to write a song, how do you decide if it’s a fit for another artist or if you want to keep it for yourself? TP: I think that’s as simple as having an identity and being confident enough to think with that identity. I have really taken the time to really get to know myself throughout my entire career; I’ve been working since I was 9 years old and I found myself being curious about who I was outside of what I do. It started off as a conversation between me and myself. In the beginning of the album, I’m talking about slow dancing and I’m talking about how it doesn’t have anything to do with love—it’s actually saying I’m so into my own idea of love and my own life and discovering who I am that [love] doesn’t matter. Then I realize halfway through the album, wait a minute, loving somebody else is a part of your own personal growth. Being willing to go crazy for somebody, all these other things. It’s definitely been really interesting and really fun getting to know myself throughout the process. HG: You’ve written such popular songs that span so many genres. Do you feel most at home in a specific genre? TP: I think that I fit into all the genres that I write for because of the fact that I usually feel boxed in when I am writing for one specific genre—unless it is for an artist that does cross over, and you don’t have many of them. You have a lot of artists that like to stick to one thing because it’s easier to sell that product. It makes it tangible, it makes it easier, more accessible. But I think that some of my favorite artists of all time are not able to be placed in a box. So I don’t want to put that imaginary glass roof on my own creativity. HG: Who are some of those artists you look to as people who defy genres? HG: After already making your mark behind the scenes, what kinds of emotions are you experiencing now that We Need To Talk is finally out in the world? TP: It’s definitely a relief. Because I’m not slowing down writing for other artists, I’m being pickier. But I’ve always been very picky throughout my entire career. Even before this type of success; I was always choosey about who I work with, and now we’re having to balance even more. Just watching the growth between the Tayla Made mixtape, and who I was then and who I’m becoming now, has been exciting. Just to know myself, and take the things I’ve learned as a songwriter and apply them to myself. It’s different when you’re really analyzing yourself the way that you do other people. (laughs) You’re like a therapist breaking down someone’s emotions and thoughts. HG: Do you need to create a specific kind of environment or adhere to a specific routine when you write a song? TP: I think the only thing that I need to make sure that I do—it starts before I step into the studio—is living life and also listening to other people. When I’m in the studio listening to other people’s lives—because I understand how I react to a certain situation, say it’s love or unrequited love, I know how I react to it—[but listening to other people helps because] the thing that makes a song popular is that other people outside of you react the same exact way. It’s kind of hard to explain, but it’s necessary for the process. HG: How do you maintain work-life balance when you’re coping with the stress of the music industry? TP: I think the easiest answer is that I see the bigger picture in any of those moments when I feel overextended. I have to remember that I work for myself. I don’t work for anybody but myself. I work with artists I am inspired by, and if I ever start to feel run down, then that means maybe I need to adjust what I’m doing at that time. I have to be honest with what makes me happy. That’s how I cope–I wear a lot of hats, whether I’m creative directing, writing, producing. To keep the excitement going and make sure that I’m working only on things that inspire me is how I stay happy. 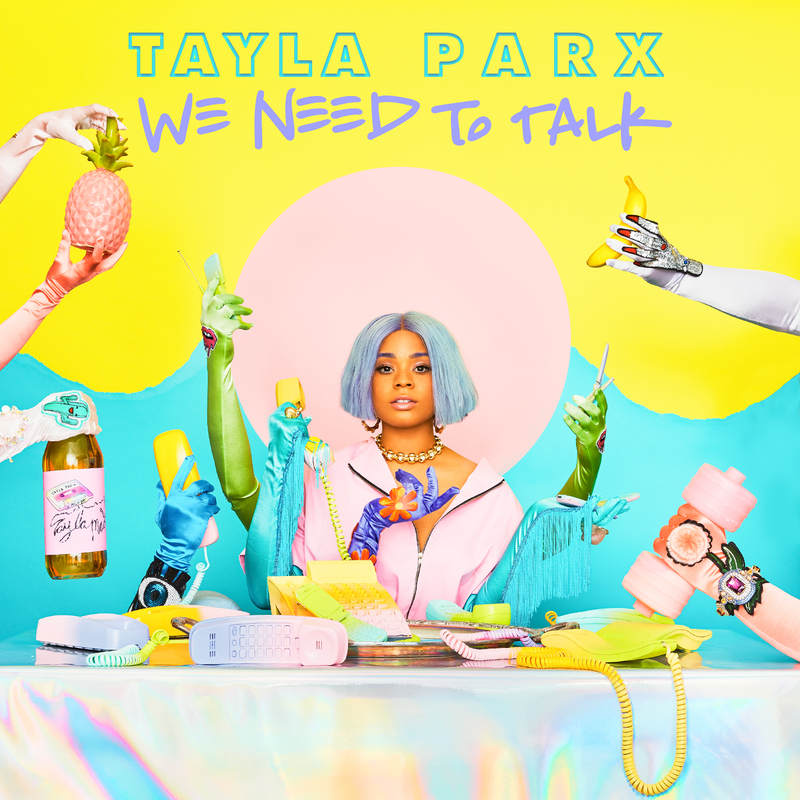 Listen to Tayla Parx’s debut album, We Need To Talk, on Spotify.